A new initiative was launched on Wednesday in an effort to remove confusing and contradictory signs from the District’s streets. D.C. Mayor Muriel Bowser has asked residents to point out confusing street signs by using the hashtag #GoodSignDC on social media. Residents have been encouraged to call out confusing street signs on social media by April 15. D.C. netizens have already started sharing posts and photos showing some of the street signs that need correction. Locals have also been asked to bring to the attention of authorities street signs that need to be replaced with new signs. 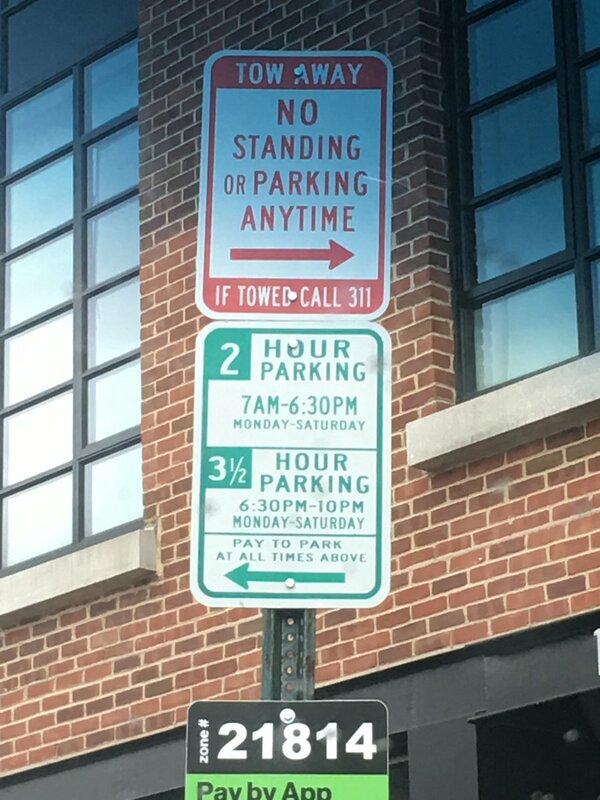 It has been a subject of complaint that the District streets are full of confusing signs, which is troubling for drivers who want to park safely without getting a ticket. “Through April 15, residents are encouraged to share #GoodSignDC to alert the District about street signs, such as parking signs, that are confusing or are in need of a replacement,” the District Department of Transportation (DDOT) said in a press release on April 2. “With #GoodSignDC, the city is determined to oust misplaced, contradictory or outright confusing road signs once and for all — and it needs your help to get it done,” Bowser wrote in a tweet, asking residents to share a photo and location of such street signs on social media. With #GoodSignDC, the city is determined to oust misplaced, contradictory or outright confusing road signs once and for all — and it needs your help to get it done. On Wednesday, Bowser also launched a new job training program designed to help individuals to make careers as sign installers in the transportation department. The program is organized jointly by D.C. Department of Employment Services (DOES) and the DDOT and consists of a 12-month training. It also includes two weeks of required classroom instruction at the D.C. Infrastructure Academy.